A 30% protein high-energy controlled consumption cattle tub. 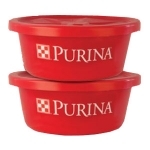 Purina 30% Protein Hi-Energy Cattle Tubs are free choice supplements designed for beef cattle on medium to high quality forage diets (over 8% protein). The low moisture, cooked molasses products in non-returnable plastic containers will enhance intake and utilization of available forages, while potentially reducing labor for producers. 60 lbs. Click here for guaranteed analysis and more information. Even at a temperature of 60 degrees Fahrenheit, cold stress can impact the growth and health of dairy calves. During this critical time, calves require higher dietary energy to maintain body condition, and achieve optimal growth and health. 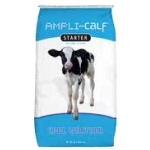 AMPLI-Calf® Cool Weather Starter provides calves the extra energy they need when they need it – especially during times of cold stress. Click Here for more information on this product. Purina’s Wind and Rain® STORM™ Fescue is a comprehensive line of beef cattle minerals designed to address special mineral deficiencies associated with fescue forages, in a palatable, weather-resistant, granular formula. 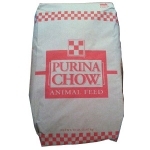 Purina’s unique manufacturing processes provide more consistent intake based on forage quality changes through the season. Click here for guaranteed analysis and more information. 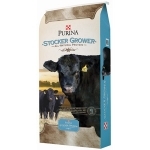 Purina® Stress Tub is a free choice supplement designed for young cattle prior to or after stress and breeding animals. 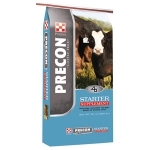 This product is recommended for use in pre-weaning situations, receiving and hospital pens, as well as to the breeding herd 60 days prior to calving and through the breeding season. Click here for guaranteed analysis and more information. 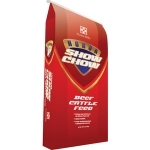 Honor ® Show Chow® Full Range™ feed is designed to help promote feed intake, bloom and fill in cattle fed for show. Full Range™ feed can be fed throughout the entire feeding period to young calves being prepped for sale as well as steers and heifers being fed for exhibition. It's never too early to start thinking Winner's Circle. New Honor ® Show Chow® Full Range™ feed gives you the flexibility you need from start to finish to succeed in the ring. Click here for more information on this product. 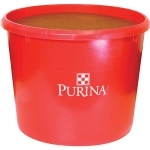 Purina® Accuration® Balancer 26 is a supplement for mixing with coarse cracked corn or shelled corn and by-product ingredients for finishing cattle weighing over 650 lb or dairy beef steers weighing over 400 lb that is formulated to provide intake modifying properties to the complete ration. Click here for guaranteed analysis and more information. 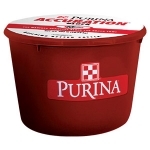 Purina® Accuration® Finisher 44 is a supplement for mixing with coarse cracked corn for finishing cattle weighing over 650 lb or dairy beef steers weighing over 400 lb that is formulated to provide intake modifying properties to the complete ration. Click here for guaranteed analysis and more information. 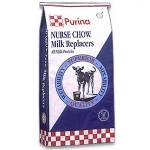 A high quality milk replacer formulated with soy protein isolate and milk protein ingredients (22% protein and 12% fat). 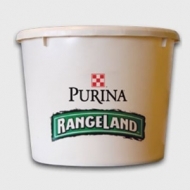 A liquid protein/energy supplement designed for free-choice feeding to pasture cattle. Contains protein, vitamins and minerals. 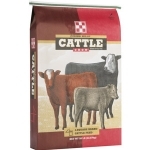 Furnishes all nutrients necessary to balance deficiencies in range cattle diets 10% fat for high energy - increases level of readily available energy in ration to optimize body condition score, weight gains, and efficiency. 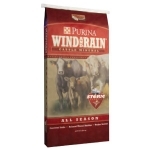 Purina Custom Cattle Feed. No information available. 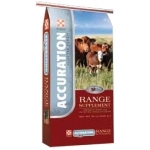 Beef cattle minerals in a cooked molasses tub that is designed to correct the mineral deficiencies of the available forage in a highly palatable, weather resistant form. 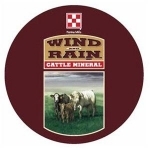 This line of minerals is designed for cow/calf and seedstock operators that need a free-choice mineral supplement to assure that their cattle are getting the proper levels and ratios of all of the 14 essential minerals cattle need for health, growth and reproduction. A highly palatable molasses-based tub supplement for stressed or weaned calves. Contain trademark levels of Zinpro Availa® 4 Organic Minerals to support immune status.The Purina Stress Tub contains Diamond V® original XPC™, high levels of vitamins and minerals, and protein to restore nutrients lost during weaning. A convenient delivery method that helps you save labor and to provide necessary nutrients to your calves on high-quality forages. 60 lbs. 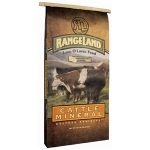 Our balanced Range Mineral products contain various ratios of calcium and phosphorus and generally provide enough salt to meet cattle requirements. 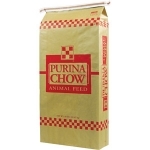 All have top-quality ingredients with high biological availability and excellent palatability. 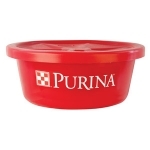 Purina Mills has designed a line of hand-fed range products to address the differences in desired nutrient value and producer preferences. Balanced protein and energy supplements enhance forage digestion, allowing your cattle to get more of their nutritional needs from your homegrown forage. 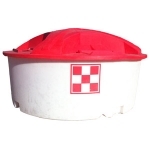 Breeder cubes help maintain body condition and improve breeding performance in cattle.